Who says a wedding dress has to break the bank? Here at Dimitra Designs we are conscientious of our brides who want to stick to a tighter budget and, as a result, offer an array of beautiful and affordable bridal gowns. We sell unused, undamaged, and unbelievably inexpensive wedding dresses in a variety of styles and sizing that you are sure to fall in love with. We have clearance dresses priced as low as $299 and many more options in store! 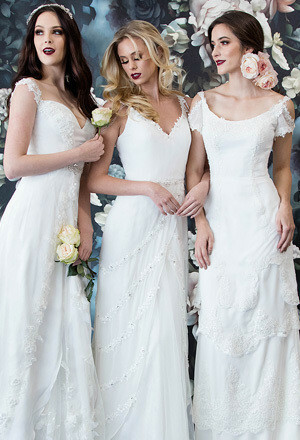 Set up an appointment today to come browse our wonderful selection of wedding gowns perfect for your big day.